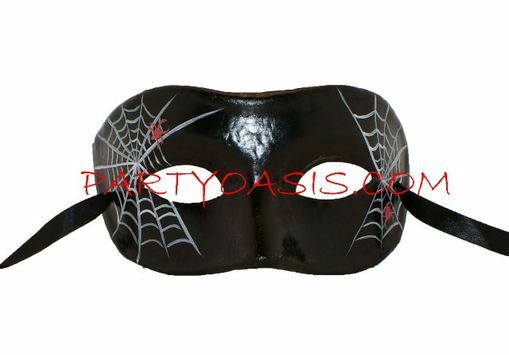 Made out of paper mache, hand painted spider web design. Easy to wear with ribbon ties. Great accessory for your Halloween costume.